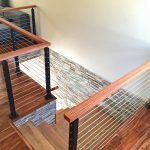 Cable railing systems can come in a variety of forms. 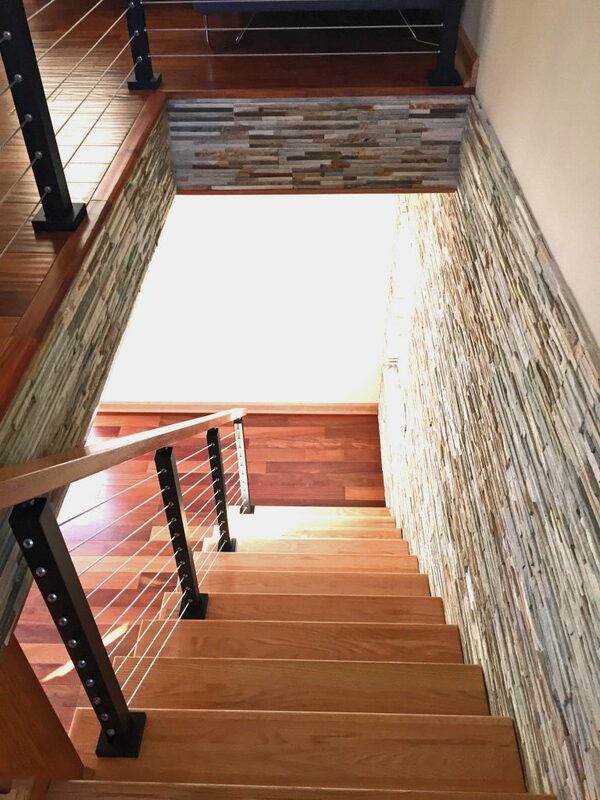 While many customers use stainless steel posts for their projects, some prefer aluminum. 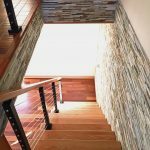 Aluminum posts are excellent for both interior and exterior applications. 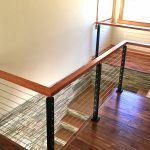 This makes them a versatile and cost effective cable railing option. 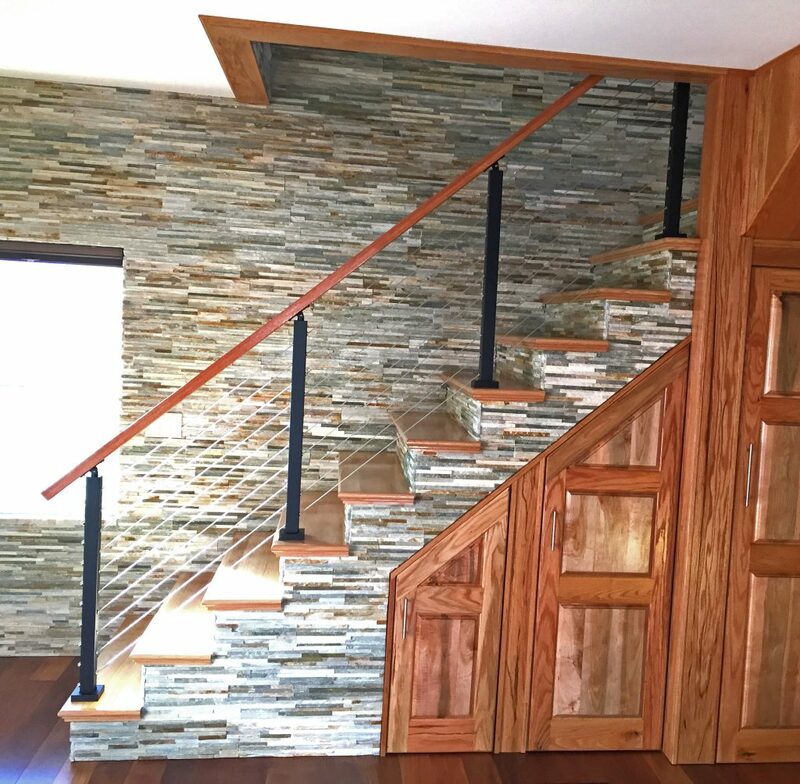 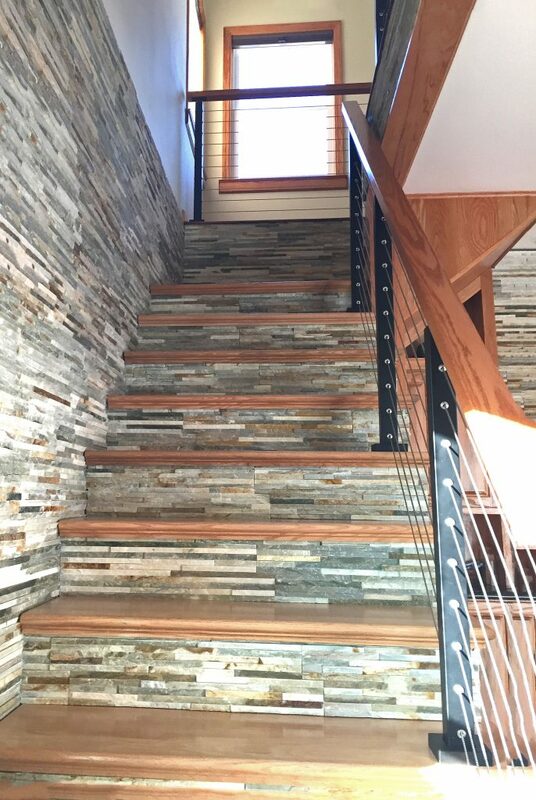 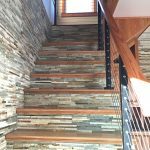 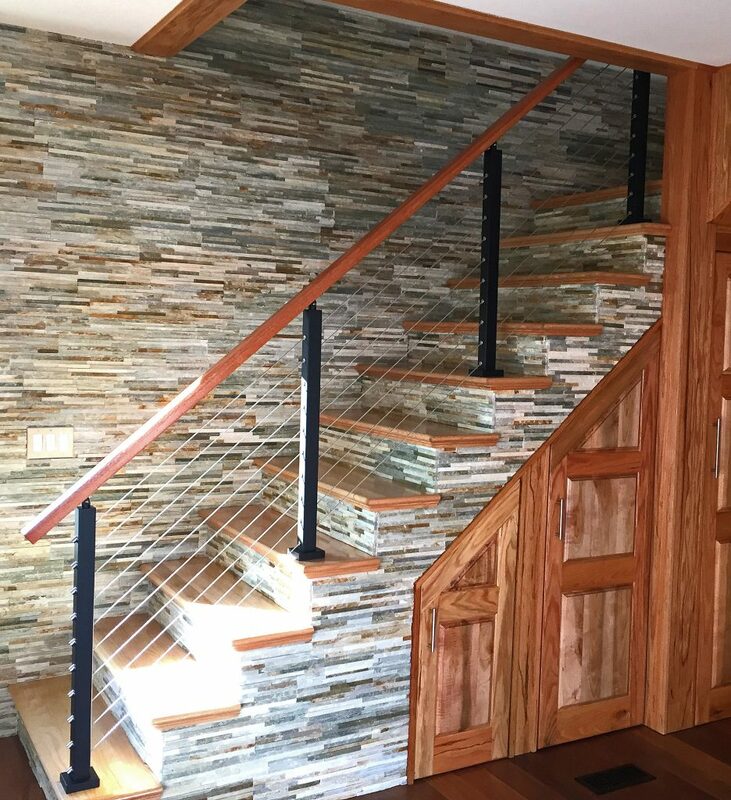 In addition, they provide ample strength and beauty for your staircase or deck. 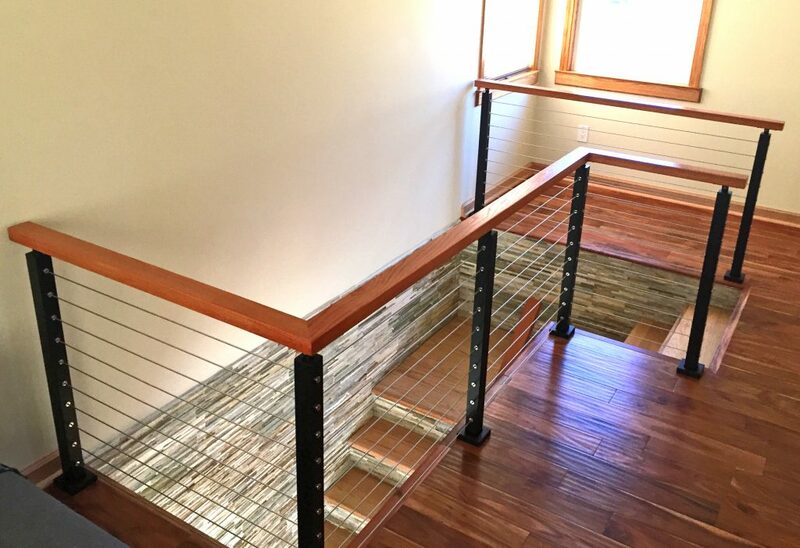 They also look great when powder coated. 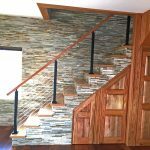 These posts were powder coated black and embellished with red oak mission handrails. 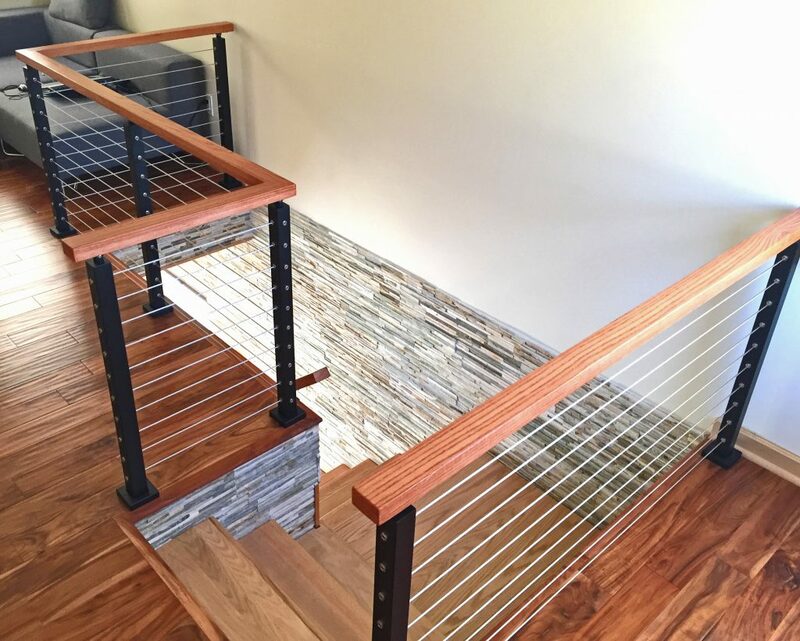 Whether you choose aluminum or stainless steel posts, your cable railing will be a highlight of your home.